Worried residents have hit out after a controversial scheme for 129 new homes in Horncastle looks certain to go ahead. 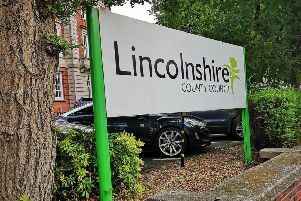 East Lindsey District Council’s planning committee had rejected plans for the development off Mareham Road amid fears of flooding. Horncastle Town Council backed people living in the area who had raised a number of concerns, apart from drainage. However, ELDC has now withdrawn its objection to the scheme after saying it has received assurances from applicants (Mrs AJ Clarke Settlement Trustees) and a Drainage Board about new plans to drain the site. An appeal - lodged by the applicants against the initial refusal - will still go ahead next month. However, sources have told the News that the development looks certain to get the green light. ELDC’s decision comes just days after it lost an appeal to veto 300 new homes at Langton Hill. The council also recently approved plans for more than 80 homes off Louth Road. The three schemes mean Horncastle could have to accommodate more than 500 new homes - with more thought to be in the pipeline. Former Town Council planning committee chairman Richard Barker said: “ELDC appears to have climbed down and I can’t say I’m surprised. Ian Sutcliffe,of Boston Road, said: “Everyone I know objected to this - not just because of flooding but also access problems. “How will Thunker’s Drain cope? It already floods. “And how will the Mareham Road and Boston Road cope with the extra traffic?